Getting locked out from Omegle is no fun if chatting with random strangers online is what you like to do when you have a spare minute or two. The good thing, there is a way how you can access the chatting platform whenever you feel like going for a random conversation. In this blog post, we cover what Omegle is and how it works, as well as what to do in case of emergency of getting blocked from the website. Omegle was founded in 2009 by a then 18-year old Leif K-Brooks, and it immediately turned out to be a great success. Omegle is anonymous and free – no wonder why this online chatting platform happens to be a go-to place for those who sometimes prefer digital communication over real face-to-face conversations. No registration is required to hop on Omegle, so it takes only a click of a button to start a conversation with a person from any corner of the world. But you can’t choose who you will be talking to – and this idea of coming face to face with a random stranger is what attracts users to the platform. At the very beginning, the service supported text-only chats. Soon after its’ launch, a video mode was introduced to supplement texting. With people spending more and more time online on their mobile devices, an Omegle app was introduced to extend its’ capabilities even further and provide users with an option to engage in random chats on the go. Unlike on most of social networks and other sites today, there’s no need to create a profile, an account, or register in any other way on Omegle. The service is open to everyone over 13-years old (with a supervision of an adult if younger than 18). You don’t even have to think of a name – it’s either ‘You’ or a ‘Stranger.’ All you have to do is to visit the website and decide whether you want to chat by text or video by hitting a button accordingly. This is it – Omegle will randomly pair you with a stranger for a chat session, which you can end anytime. It may sound super simple, and it’s nearly true. Nevertheless, a few features exist to diversify your chatting experience slightly. For example, Omegle can pick a stranger less randomly if you specify your interests beforehand. This way, the program will choose a person who wants to talk about the same topics as you. A ‘Spy’ mode is another thing. 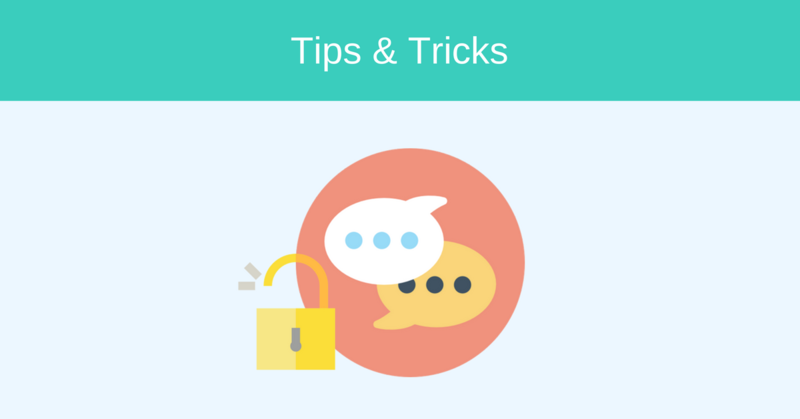 In this mode, a user can raise a question for a discussion and view the chat of two other strangers without being a part of the conversation – just like a spy. Why might Omegle be banned? Although its’ initial mission was making socializing with random people simple, the anonymous format of Omegle has turned it into a medium for explicit and adult content. The moderation and monitoring of chats and videos is limited, and it can’t protect users from encountering disturbing content completely. For this reason, some ISPs and network administrators choose to restrict access to Omegle. As a result, the website might be inaccessible in schools, colleges, certain companies and institutions. Moreover, a user might receive a ban if reported for possible bad behavior. In this case, the service puts a temporary block on the user, which means no random chats for an unspecified period of time – maybe weeks or maybe just a couple of days. If you have zero patience for waiting or want to access the platform anywhere, read on – getting around an Omegle ban is not as difficult as it may seem. So how to get unblocked from Omegle? The way Omegle blocks work is based on IP addresses. If you get banned, or your ISP restricts the access to the website, you won’t be able to reach it with the IP address issued by your provider anymore. One of the easiest ways to get around an Omegle ban is to use a VPN service, like NordVPN. VPN stands for a virtual private network, which lets you hide your IP address by rerouting your Internet traffic through a remote server. When you connect to a VPN server, you virtually appear to be browsing from a different location since a new IP address is now assigned to you. And that’s basically it – your actual IP address associated with the ban or restrictions is not visible anymore, so you can chat with strangers again! By using VPN, you not only regain access to Omegle – there are a few other perks as well. Hopping on a virtual private network gives you security and privacy whenever you go online. For example, NordVPN secures your Internet data with military-grade encryption to protect your personal information from snoopers of any kind. Also, NordVPN keeps no logs of your online activity, so you can enjoy ultimate privacy as it is only you who knows the websites you visit, let it be Omegle or anything else.